Mayor Carlo DeMaria celebrated in a ribbon cutting ceremony in welcoming 110 employees of Wynn Resorts to Everett. The employees were recently housed in an office building in Medford and construction trailers located on the construction site. 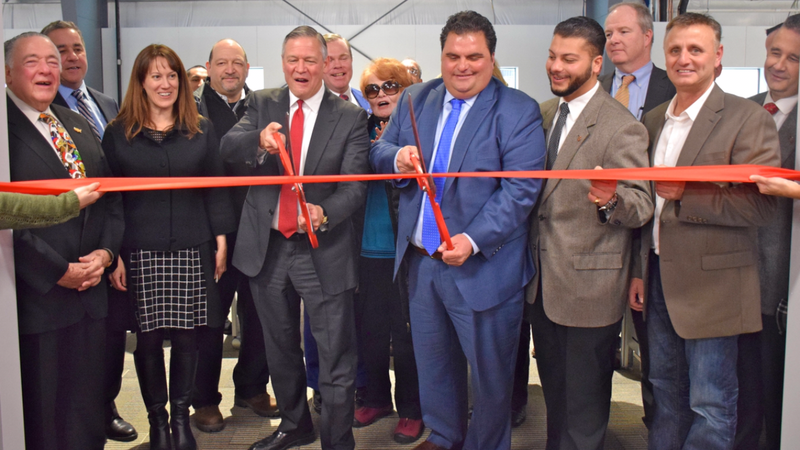 The Wynn Boston Harbor President, Bob DeSalvio, joined the Mayor for the ribbon cutting at the new Wynn Design and Development office building, which is now located at 3 Charlton Street. 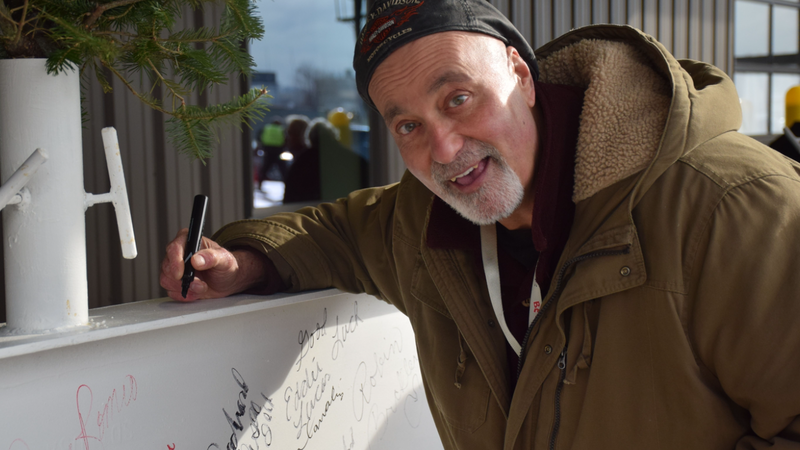 The ribbon cutting event also included a piece of steel that will be added to the Wynn Boston Harbor, which attendees had an opportunity to sign and express their best wishes. Their marks and names will forever be embedded into the resort. Looking to the future, the Wynn Design and Development building is part of the Mayor and his administration’s continuous work towards revitalizing the Lower Broadway Area. The administration has worked extensively on City planning and development studies, such as the Lower Broadway Master Plan and the Municipal Harbor Plan, that have been conducted, as well as the business-friendly practices and incentives.